Antibiotic resistance represents a serious threat to human health. Some agricultural practices may lead to the acquisition of antibiotic resistance on soil bacteria. 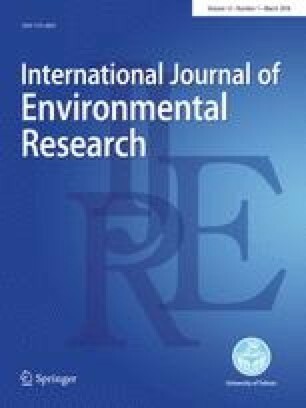 The aim of this study was to characterize the antibiotic-resistant profile of enterococci in soils exposed to livestock agricultural practices in Azores archipelago. Twenty-four soil samples were collected in 3 different pasture lands of São Miguel Island from Azores archipelago, with a different number of grazing animals, and from a control site. Eight Enterococcus spp. isolates were recovered: E. faecium (n = 5), E. hirae (n = 1), E.faecalis (n = 1) and E. gallinarum (n = 1). The isolates were tested for antibiotic resistance and virulence genes. The E. faecalis isolate was resistant to vancomycin (VRE) and harboured the van(A), the aph(3′) and aac(6′)-Ie-aph(2′)-Ia antibiotic resistance genes as well the esp virulence gene. Almost all non-VRE isolates were resistant to erythromycin and ampicillin and harboured the erm(B) gene. The antibiotics used in dairy and beef livestock cattle production are excreted through manure, which may exert a selective pressure on soil bacteria, leading to a higher bacterial resistome in the soil. This represents a public health problem due to the negative consequences and it might represent to human health. Vanessa Silva and Fernando Peixoto contributed equally to the presented work and should be considered as first authors.